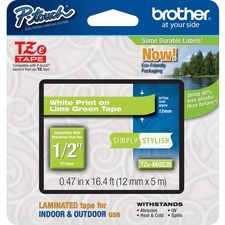 Brother's laminated tapes-both the TC, TX and TZ lines-consist of six layers of materials, resulting in thin, yet extremely strong, labels. Characters formed with thermal transfer ink are actually printed onto the underside of a laminate. Sandwiched between two layers of PET (polyethylene) film, the characters are virtually indestructible. 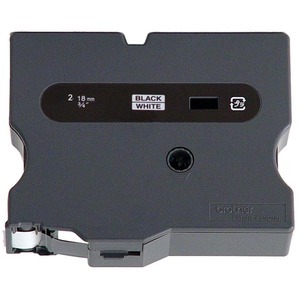 This is a Black on White laminated tape.